Very friendly ginger and white cat, is happy to be around people and familiar with the inside of a house. Not sure if it's male or female. Female Yorkshire Terrier wandering Sundays Well Cork city. Now at CSPCA Mahon. Not micro chipped or collar. Beige westie type terrier. Friendly, collar no tag , recently groomed. Male ginger cat, hanging around Aldi Mahon the last few days. Appears to be lost. Black and white female cat,four white paws with white neck. Very friendly. 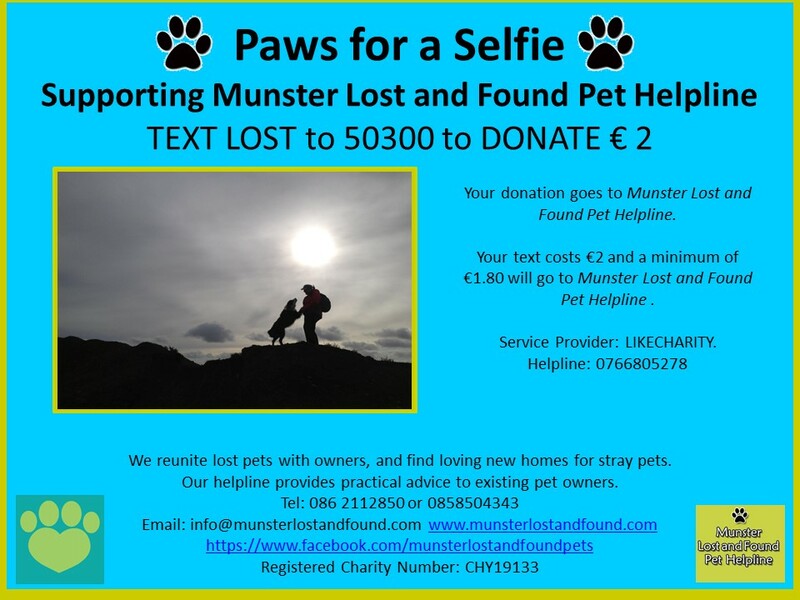 Your donations are hugely appreciated in helping us to continue our work rescuing, reuniting and rehoming lost pets. We are an entirely voluntary organisation and we guarantee every penny you donate goes directly to the animals in our care.